Indirect access is not a surprise to most organizations. It is something other software vendors charge for as well, but the difference is they do not surprise their customers with it nor did they change their focus as abruptly as SAP did. SAP has always been very relaxed when it came to software audits but all of a sudden this also changed. 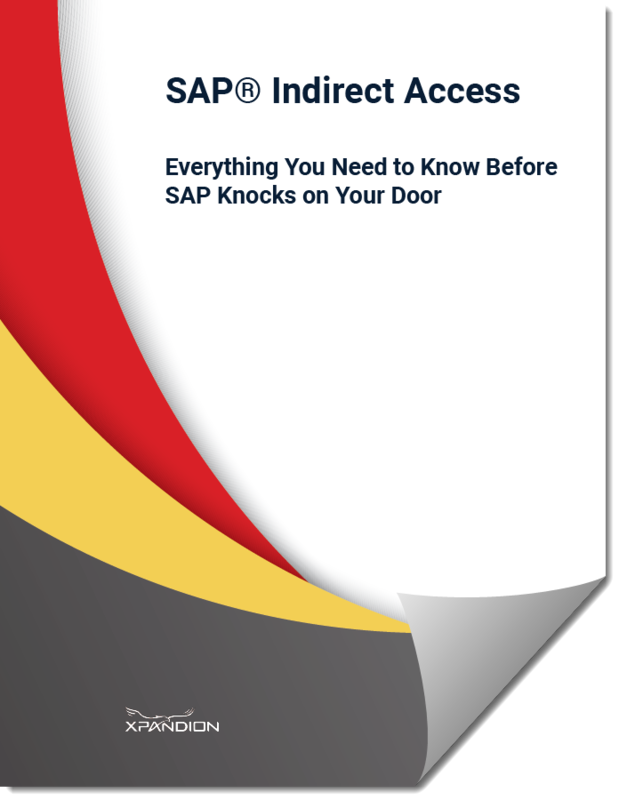 Download your free copy on how to resolve your SAP indirect usage. I consent to collecting and storing any data I provide. This information will only be use to receive information from Xpandion about its products, news, blogs and events. I understand I may unsubscribe at any time.